The South's attempt to kill the North's auto industry is the latest battle in an ongoing conflict. It's time for a Third Reconstruction to put an end to it. It is just as well that Barack Obama is emulating Abraham Lincoln by traveling to his inauguration in Washington by train. As the regional politics of the automobile bailout controversy demonstrate, the Civil War continues. If the major U.S. automobile companies go under, it will be partly because timely federal aid for them was blocked by members of Congress like Tennessee Senator Bob Corker, whose states have created their own counter-Detroit in the form of Japanese, Korean, and German transplant factories. The South will have risen by bringing down the North. Jefferson Davis will have had his revenge. The most shocking thing about the alliance between the Southern states and America's friendly but earnest economic rivals to destroy America's most important industry is the fact that so few people find it shocking. Contrast the U.S. with the European Union. The nation-states of the European Union collaborate with each other in order to compete against foreign economic rivals, including the U.S., Japan, and China. By contrast, many states, particularly in the South, collaborate with foreign economic rivals of the U.S. in order to compete against other American states. Any British or French or German leader who proposed collaborating with Japan or the U.S. in order to wipe out industry and destroy jobs in neighboring EU member states would be jeered out of office. But it is perfectly acceptable for American states to connive with Asian and European countries in the destruction of industry elsewhere in the U.S.
Perhaps the lack of outrage over race-to-the-bottom rivalries among U.S. states and regions can be attributed to the longevity of this familiar Southern economic strategy. In the early 20th century, the Southern states were the first to adopt conscious statewide economic development policies, which then as now meant poaching industries from New England and the Midwest where wages and public spending and regulation were greater. That's how the South took the textile industry from New England, before losing it to lower-wage Asia. Now with the help of Nissan, Toyota, and BMW, the South is trying to replace Detroit as the center of U.S. automobile production, using low wages, anti-union laws, and low taxes to benefit from the outsourcing of industry from societies more advanced than the South, like Japan and Germany. The economic Axis is collaborating with the neo-Confederates against their common opponent -- the American Union. If they succeed, the losers will be not only non-Southern regions in the U.S., but the majority of Southerners of all races, whose interest in decent wages, good education, and adequate public services have almost always been sacrificed to the greed of the well-connected few by Southern statehouse gangs. "A house divided against itself cannot stand." At each of the defining crises in American history, a major expansion of federal authority was necessary to overcome a division between North and South that threatened the future of the U.S. as a democratic, middle-class nation. The division between slave and free states was overcome by the defeat of the Confederacy and the Reconstruction amendments that abolished slavery and established national citizenship for the first time. During the New Deal era, the enormous gap between the agrarian South and West and the industrial Northeast was overcome by federal programs like rural electrification and highway building, federal regulation, and federal social insurance. Today the division is no longer between slave and free states, or agrarian and industrial states, but between two models of industrial society -- the Northern model, based on adequate public service funding and taxation and unionization, and the Southern model, based on low-tax, low-service government and low-wage, non-unionized, easily exploited labor. If the industrial North and the industrial South compete for global capital investment, then the industrial South is likely to prevail, because Northern advantages in the form of a skilled workforce and superior public services are unlikely to overcome the South's advantages of low wages and low taxes and state and local tax subsidies. The result, sooner or later, will be the Southernization of the North and Midwest, as states in the historic middle-class core of the U.S. are forced by economic pressure to emulate the arrangements of Alabama and Mississippi and Texas. The alternative to the Southernization of the U.S. is the Americanization of the South -- a process that was not completed by Reconstruction and the New Deal and the Civil Rights era, which can be thought of as the Second Reconstruction. The non-Southern states, through their representatives in Congress and the executive branch, and with the help of enlightened Southerners, need to use the power of the federal government to put a stop to the Southern conservative race-to-the-bottom strategy once and for all. Call it the Third Reconstruction. The first step is to end the race to the bottom in wages and regulation, by national action. The national minimum wage should be gradually raised until it is a living wage, of $10 to $12 an hour, and it should be adjusted for inflation. At the same time, federal regulations should set a higher floor with respect to worker safety regulations, environmental regulations, and others, preventing America's own internal rogue states from gaining any advantages by flouting national standards. Most Southern politicians and business leaders will howl that this will bankrupt the South. That's what they said about the abolition of slavery, child labor, and the convict lease system, too. The South was a better place to live after those reforms, and it will be a better place to live when there is a living wage throughout the South. Second, the race to the bottom in taxes and public services must be stopped by means of federal revenue-sharing. In most industrial democracies, the central government contributes much of the money for local services. In the 21st century U.S., too, a much greater percentage of state and local public service funding should come from the federal government, in the form of general revenue sharing (a popular and effective program abolished by Reagan) as well as special purpose grants and loans for some needs like infrastructure. This means that more tax money, not less, will flow from blue states to red states. But it is the price the blue states must pay for the survival of their own way of life in their own regions. Ruthless Southern state governments have been willing to underfund public education and other public services, while lavishing hundreds of millions of dollars to bribe Nissan, Toyota, and other foreign corporations into opening up factories in their borders. The Southern states cannot be forced to raise state and local taxes. But federal revenue-sharing can raise the level of public services in Mississippi and Louisiana, thereby leveling the playing field by leveling up, not down. Nor is revenue-sharing unfair to the blue state rich, because the federal government taxes the rich everywhere, including the rich few in poor states. Moreover, the gradual equalization of public service spending nationwide might be compensated for by reductions in high blue-state tax levels. Third, federal-state collaboration in national economic development must replace individual state economic development systems designed to promote one state at the expense of another. Most states today have complex and sophisticated economic development systems, including agencies like infrastructure banks and municipal bonds to pay for infrastructure and sometimes industry. The problem is not their existence, but rather the absence of an overarching federal system, modeled on existing state systems but on a larger scale, in which each of the state economic development systems can play a constructive rather than destructive role. A national infrastructure bank, for example, could channel foreign investment to state infrastructure banks, without subordinating America's economic interest to that of foreign nations or allowing foreign companies like Toyota and Nissan to pit one American state against others. These and similar measures adding up to a Third Reconstruction would not turn Mississippi into Vermont. But they would level the national playing field upward, making it more difficult for Southern elites to use misgovernment and underdevelopment as assets in luring investment. And while Southern business elites could be counted on initially to resist a higher national minimum wage, revenue sharing and the funding of state and local economic development systems by new national economic development agencies in time would create a new kind of Southern business elite with a stake in a flourishing national economy and an enlightened, activist federal government. Over time, reactionary conservatives might be marginalized even in Southern business and political circles. The greatest beneficiaries of the Third Reconstruction, as of the First and Second, would be Southerners themselves. 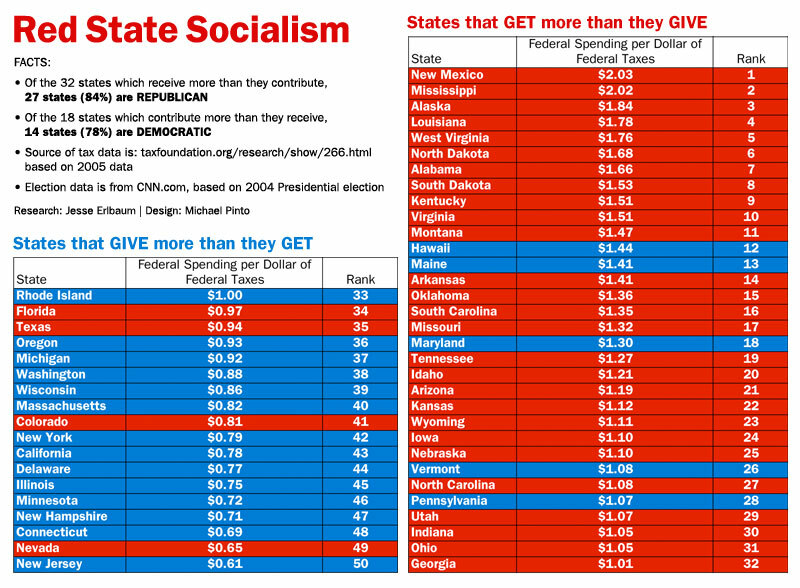 The Southern conservatives of the GOP are not irrational when they denounce the very idea of a national economic strategy as "socialism" or "industrial policy" while each of their states pursues its own "socialist industrial policy" within its state borders. They are being strategic. They understand their interests, as they define them. A U.S. economic development strategy would make it more difficult for individual state governments and their crony capitalist allies to engage in the beggar-thy-neighbor policies that the Southern elites have specialized in for nearly a century. And a national economic development system would thwart the ultimate goal of the extreme right in America -- the leveling down of the entire U.S. to the South's inhumane and primitive standards. I can hear the objections already: "We agree that the South's beggar-thy-neighbor and race-to-the-bottom strategies should be thwarted -- but the methods that you suggest, a high national minimum wage, greater equalization of state and local public spending by increased federal revenue-sharing, and a national economic development framework built to align the existing state economic development systems are politically too difficult to achieve." That may be true. But if it is true, then the neo-Confederates and their strategy of turning first the South and then the entire U.S. into a low-wage export platform for the outsourced industries of advanced industrial societies in Asia and Europe will prevail. If a non-Southern majority, controlling the White House and Congress, with the support of at least some moderate Republicans in other regions, along with the support of Southern populists and progressives, is too timid to take on a Southern oligarchy that is willing to wreck the national economy to promote their local economic empires, then the neo-Confederates have already prevailed. The choice is simple -- the reconstruction of the South, or the deconstruction of the U.S. economy.